Preparation… | Discovering My Heart! “Preparation is key!” Not sure who was the first one to tell me this, but honestly I am starting to feel like it is a bunch of bull. It doesn’t matter how much I try to get organized and ready, I still don’t “feel” prepared. Even though most of my thoughts have been dealing with getting ready for the birth of my son, I feel this way in life often. When my mother would take my brother and I back to school shopping it just seemed like it was always more stressful than just showing up our first day with a pad of paper and a pencil. I mean honestly, there would be something that wasn’t on the list and we would have to go back and repeated the whole process. So it really didn’t matter how prepared we thought we were, we always were missing something. 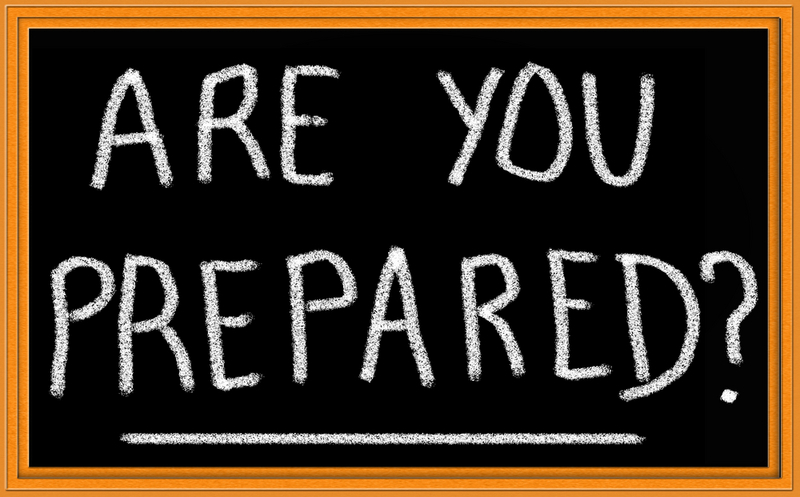 The Bible does talk in depth about preparation and I do think that it is a serious matter however, there is a huge difference in what I perceive as preparation and what God say’s in his word. When we try to prepare for our day, there is always going to be something missing if you didn’t fill your day with the love of God first. If God was not the first thing on your heart and you did not acknowledge him, then lets face it, you are not ready for the day. I am not judging anyone, because I am totally guilty of forgetting or trying to do other things first. This is typically when I fall short and realize that I am nothing without God as the center of my life. Being prepared for the workday, and also being prepared for my child, although seem extremely important are nothing with out the guidance and direction the Lord provides. Earlier this week I had my first nightmare about my son being born. I won’t go into to much detail, but I was not prepared and didn’t even have my son’s going home outfit (pictured below, so cute!) let alone his car seat. So in the dream they wouldn’t let me have my son, and were going to take him away from me because I wasn’t a “prepared” mother. Needless to say I did not sleep well the rest of the night, I kept thinking about everything that needed to be done and everything that I was still missing. Especially things I needed that my husband and I cannot afford. I am honestly not one to cry often, except apparently when I am pregnant, but I broke down and cried in the bathroom as my husband continued to snore in our bedroom. I didn’t realize how much stress I was putting on myself to be perfect. The anxiety that I was feeling wasn’t just about the things I needed to be a good mom, it was about being a good mom. I allowed doubt to enter into my life simply because I didn’t feel I was prepared. There is no book you can buy that will tell you how to be the perfect mother, there are books that try but lets be realist! God is the only one who can teach and guide us to be who He has called us to be. I know this may not seem that bad to some, but here is a sneak peak into my nursery. I will make sure to post an updated photo once I have it all done! You are going to be a wonderful Mom to your son. It’s normal to have these thoughts because the time is coming close. I’m proud of you!